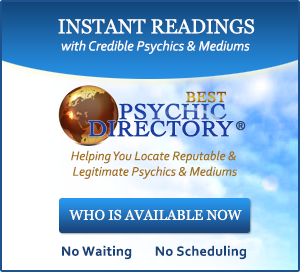 The Psychic Medium Who Raised The Bar, Making It Harder For Other Mediums To Qualify For BestPsychicMediums.com! After researching and testing hundreds of psychic mediums since January 1999, one thing I’ve learned is that being gifted has little to do with how long a psychic medium has been giving readings. If a psychic medium is genuinely and extraordinarily gifted, that gift instantly places them ahead of those whose abilities are mediocre at best—even if the mediocre psychic medium has had years more experience. I’ve had plenty of readings from psychic mediums who have been giving readings for twenty to thirty years, yet gave me readings that were ordinary and average. In contrast, I’ve had a few readings where the psychic medium has only been practicing for five to ten years—like the subject of this article—yet their messages were so chock-full of details, descriptions, dates and even names, that it reminded me how powerful and accurate spirit communication can really be. The psychic medium I’m about to reveal to you falls into the category of extraordinary, and I am especially proud to be adding her to my list of “Genuine & Legitimate Psychic Mediums.” In fact, this practitioner is so exceptional that I actually ran downstairs after my test reading with her to tell my wife, Melissa, all about it. I was truly filled with enthusiasm for discovering such an impressive psychic medium. Her name is Joanne Gerber. As the founder and editor of OfSpirit.com Magazine—a leading resource on spiritual, holistic and self-help subjects with over 2000 pages of articles, interviews and information—my passion is to educate, inspire and assist people like you who are on a quest for spiritual growth. In this light, I’m also the founder of BestPsychicMediums.com and GriefAndBelief.com, two additional resources designed to guide people toward helpful insight that will enlighten you toward greater spiritual insight and experiences. In January 1999, I met my first genuinely gifted psychic medium. I was a skeptic at the time, a very cynical one at that, and so the reading turned my world upside-down—but in a good way. Being able to communicate with my deceased father and grandmother through this psychic medium really taught me how ignorant I had been regarding life after death. And being a published author in search of a new book to write, I instantly decided to write a book about spirit communication and psychic mediums because I was so intrigued by my reading. 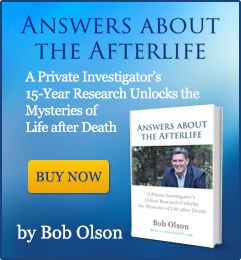 I immediately began researching the subject of spirit communication and the afterlife, and in this research, began testing psychic mediums by getting personal readings from them. In my excitement to tell other people about my best readings, I started writing about them and publishing these articles on the Internet, initially on OfSpirit.com and later on BestPsychicMediums.com. Years later, after getting hundreds of readings—many from some of the best psychic mediums around the world—I realized that I had unintentionally become an authority on psychic mediums because I was able to compare and evaluate the abilities of the best psychic mediums versus the average versus the worst. Today, a total of eleven years later, I use my experience to guide people like you toward the very best psychic mediums, and to be sure people won’t fall victim to the phonies, frauds and scam artists. Before my reading with Joanne Gerber, I inquired with other psychic mediums (whose opinions I respect) about what they knew of her. I do this before adding anyone new to my list. The response I got from every psychic medium was that Joanne is a person with high integrity, high moral character and the admiration of her peers. I was quite impressed with the encouraging, positive references these reputable psychic mediums were bestowing upon her. Despite the raving reviews of Joanne from other psychic mediums, I must admit that I still wasn’t expecting a reading with the high-velocity punch that I got from her. After all, just because a psychic medium recommends another psychic medium doesn’t mean their recommendation deserves to be on my “best” list. 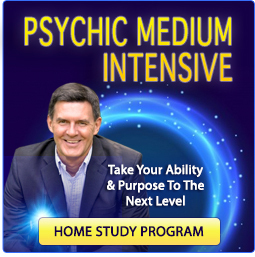 I can’t tell you how many lousy readings I’ve had from psychic mediums who were recommended by another psychic medium. For one, other psychic mediums simply don’t know how to judge a reading from a place of skepticism. Yet, that happens to be my forte. My point here is that my expectations going into every test reading are always low, because I so rarely locate anyone that meets my standards. Keep in mind, I’ve been doing this for seven years now and my list of the exceptionally gifted is still very small. Why? Because I find so few psychic mediums who meet my standards for being among the best. Joanne began my reading by telling me what to expect. I learned that she’s an “evidential psychic medium”—the best kind for people with skepticism—meaning she will provide descriptions of people (in spirit): their ages, their names, dates associated with them, as well as details of memories I’ve had with them, even descriptions of objects and articles passed down from them. Of course, I’ve heard a lot of psychic mediums promise such evidence, but few can actually deliver enough evidence to actually be convincing. So I waited to see if Joanne could fulfill her promises. Joanne began the reading by instructing me not to tell her anything about my life. She didn’t want me to give up some evidence that “she” might eventually tell me. Obviously, that would spoil things for both of us. So I wholeheartedly agreed to keep my mouth shut. I love it when a psychic medium doesn’t ask any questions and doesn’t want the client to give anything away. This is called “feeding the medium.” Whenever I introduce a psychic medium at an event like a medium demonstration, I always say to the audience, “Now we ask that you please don’t feed the medium,” which always incites laughter from the crowd. Then I explain what feeding the psychic medium means. When the psychic medium is giving random readings to audience members from stage, the last thing she wants is for the audience member she’s reading to blurt out their deceased loved one’s name or relationship to the person before the psychic medium has had a chance to offer it. It’s not fair to the psychic medium; it’s not fair to the audience member getting the reading; and it’s not fair to the audience witnessing the reading. Everybody loses when the psychic medium gets “fed” information. At this point, Joanne had me count from one to ten, and then asked me to say my name three times slowly. This process, she told me, helps her clients to relax and raise their vibration while Joanne links in with people in spirit. She then said a brief prayer for the best and highest guidance from the highest light, and then the preparatory formalities were over—the reading had officially begun. Joanne began by telling me that she had experienced a dream referencing my upcoming reading the night prior, much like the dreams portrayed by the main character on the television show, Medium. She said that she was being prepared for our reading early, although this was quite out of the ordinary for her to have such a dream. Coincidentally, if you believe in coincidences, I had just told my wife the day before that I was disappointed in the TV show, Medium, because, although I knew it can be done, I’d never met a psychic medium who got their messages so frequently through dreams. In fact, I had never had a psychic medium give me messages that were obtained via a dream. So, to have Joanne begin my reading by telling me about her dream the prior night, I’m pretty sure someone in spirit was having some fun with me, probably teaching me not to make such assumptions—to keep my mind open and to never say never. I didn’t say anything to Joanne about this, so as to let her continue on without interruption. Joanne then told me that she had linked with spirit, but that she had a “split link,” meaning she had connected with more than one spirit. She told me that everyone in spirit was talking at once, so she focused on the strongest link, which she said came from a gentleman with a heaviness in his chest area. She said he passed due to a problem with his breathing, or there were issues in the heart and lung area. Well I already knew it had to be my father coming through; he’s almost always the first to arrive in my readings. And he passed due to lung cancer, but his heart was also strained due to severe pneumonia (he also had a quadruple bypass years prior). She said this man had passed in his sixties. My father passed away at 64. So getting his general age was pretty impressive. She added that he had a lot of health problems prior to passing, which was true. My father was in and out of the hospital so often in his last few years of life that it was a like a second home to him. Therefore, Joanne was right on cue with this one, too. She added that he was in a hospital bed when he passed. And, sure, a lot of people pass in the hospital, but a lot of people pass away outside the hospital, too. He could have passed in a car accident, his home, at work, on a train, or choking on a steak at a restaurant. So it was a risky message for her to give, yet it landed with accuracy. Joanne was also getting that he was a smoker. Oh, my father was a smoker, all right. Even after losing half a lung to cancer and having his quadruple bypass, he kept on smoking—Camel non-filters. It’s no surprise that this message came with the other messages about his passing in his 60’s, his heart and lung issues, and his being in the hospital, since it was the cigarettes that ultimately killed him. Some psychic mediums, apparently needing to warm up, disappointingly beat around the bush at the beginning, never really giving much more than generalities. Not Joanne. She fired off a series of messages that hit the bulls eye right in the center. So she got my attention, but she still needed so much more than this to really blow me away. Thus, I waited for more. Joanne then said my father was mentioning his jacket. She described it as a zip up jacket that he wore. I knew exactly what he meant, because I had just pulled out his winter coat (a zip up) and had wore it the day before this reading. I love messages that show us that our loved ones in spirit are watching over us—and this one was just that sort of message. Suddenly, another spirit wanted to interrupt the conversation. Joanne mentioned that there was man in spirit who was in the military and was a World War II memorabilia collector. I knew instantly who had arrived. It was my uncle. He was a WWII hero who had all sorts of memorabilia around his house. Joanne said he was showing her some boots, but he also had helmets, rifles, bullet shells and uniforms. Joanne said this man was a “one over link,” which meant he was one relation to the side of my father—his brother. This was another nice call. She added that he loved his garden (true), was losing a lot of his hair (true), and wasn’t a man to express his feelings much (true again). She added that there was a sense of bully-ness about him, which I took as meaning he could be tough at times (like the military veteran he was). She added two key messages that really hit home with me. One, that my uncle liked to sit outside. Now this might sound like a vague message to some, but I have these memories with my uncle that no one even knows about. My uncle used to work next door to our home at a body shop garage that repaired and painted automobiles (Joanne even mentioned the garage). And everyday at lunchtime, my uncle would go outside to sit by himself and eat his lunch by a little brook. Whenever I saw him, I’d go sit with him. I was in my teens at the time, and I loved to just sit there with him. Sometimes we’d talk, as he knew so much about nature, and sometimes we’d just sit peacefully. I always loved sitting outside with my uncle, and so this simple little message packed quite a punch for me. I knew exactly what my uncle was telling her. The other message Joanne gave that really hit home was that there was distance between my uncle and me at the time of his death. This was true, and I’ve always regretted it. My uncle was diagnosed with a terminal illness that took his life much quicker than expected. I was still too young at the time to be comfortable with death, and so I procrastinated going to see my uncle. As a result, there was distance between us and I never got to say goodbye. Strangely enough, my uncle came through with this same message within a week of this reading in a reading I had with another psychic medium. The two psychic mediums had never met, lived in completely different states, and didn’t even know one another existed. And I ended up adding both psychic mediums to my “best psychic mediums” list. What are the chances of that? The final message Joanne got regarding my uncle was simply a memory of how both he and my father loved to fish. Both my uncle and my father each had campers on the back of their four-wheel-drive pickup trucks, and our families used to drive down to the beaches of Cape Cod to park the campers, sleep there overnight right on the beach, and fish until there weren’t any fish left in the ocean. We’d make campfires, cook the fish we’d caught right on the fire, and eat our meals by the ocean. It was a great memory, and I was pleased that my father and uncle, through Joanne, reminded me of it. Next came my grandmother, who loves to greet me at all my readings. She and I were very close. And she is also the mother of my father and uncle (mentioned above), so it was nice to see they were all together. The messages Joanne got from my grandmother, however, were different than anything my grandmother had communicated to me in any other reading. Joanne told me that my grandmother was explaining how she wasn’t an educated woman, but that she was a knowledgeable woman, that she learned things at the school of hard knocks. And she worked very hard at trying to keep her family together, despite her husband leaving her with six children. She told Joanne that she would give and give, doing whatever she needed to do to help her kids. My grandmother wasn’t coming through in a pity-party manner, but really narrowed down the reality of her situation in a way that Joanne was able to convey articulately. Joanne hit the nail on the head on several counts. She not only got the facts correct, she also managed to capture my grandmother’s personality in her messages. By this time in the reading, Joanne had slammed me with high quality hits, one after the other since we began. There was no letting up. When I looked at my watch, I noticed that we were only about 25 minutes into the 60 minute reading. If everything Joanne had given me up to this point was the entirety of the reading, I would have considered the reading a success. But Joanne just kept going, like a boxer who gained a second wind, she continued pounding me with messages that were both accurate and impressive. For the sake of time, I’m going to highlight the rest of my reading to speed this article up. Joanne gave me so much information, I can’t even write about all of it. Joanne talked about a remodeling project going on at our house… Absolutely Correct! We had a roof leak that caused a mildew problem behind the walls. My father came through again, talking about how I’m a workaholic, just like him, and how I need to take some time for myself. He even suggested that I take some time to go to Vermont. My father told Joanne that there was a round clock on my desk, not a digital, that wasn’t working. I actually have two watches on my desk that both need batteries or fixing—neither work. They’re on my desk to remind me to get them fixed. My father mentioned that my mother has been having problems walking—this is correct, due to Neuropathy. My father said that my mother talks to him at night, and he wants her to know that he hears her. I later asked my mother about this and she admitted it was true—she said she talks to my father at night. My father showed Joanne a thermometer and told her it was a stress-o-meter. He was showing her that my stress level is currently high because I’ve taken on so many projects—Correct again. I run OfSpirit.com Magazine, BestPsychicMediums.com, GriefAndBelief.com, I’m writing my own book and ghostwriting a biography for someone else, plus writing, filming and producing a documentary. Yikes! Joanne also knew, from my father, that I’m currently writing another book. Joanne acknowledged that I have another uncle named Jim (my father’s other brother). Joanne picked up on some physical problems a particular relative of mine is having. She knew this person’s exact relationship to me, and the area of the physical issue. People in spirit recommended getting it checked right away, so I relayed the message. Joanne also knew that this person was stubborn, and that he was likely not to listen to the message. He didn’t. Joanne said that a man named Joseph was present in spirit. That he was a small, quiet man, and that I have pictures of him. My grandfather on my mother’s side is named Joseph. He was small and quiet. And I do have pictures of him. Joanne said that someone in the family is doing genealogy on the family, and that they would be contacting me about it. It is true, and they already did contact me about it. Joanne gave me some personal messages about some upcoming events regarding my business. The news was welcomed. 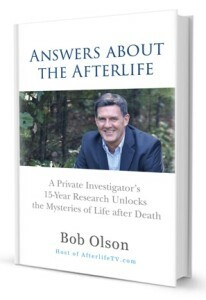 In my conversation with Joanne Gerber after my reading, I recognized that she genuinely strives to provide her clients with undisputable evidence that their deceased loved ones still exist in spirit. And she seems to push herself as a psychic medium to find that evidence that she could never have known. She’s one of those people who is never satisfied with what she is getting, always pushing herself to get more and asking spirit to help her by giving her new types of evidence beyond names, dates and physical descriptions—like street names, career descriptions, even house numbers. And once those types of evidence are commonplace in her readings, she stretches herself to find new forms of evidence. “My intention in this work is to help and to heal. I want to assist people in finding closure. I want people to know their loved ones are really coming through when they have a reading with me. And I want them to have no doubt in their mind that they communicated with their loved ones when the reading is done,” Joanne told me. Joanne is a psychic medium with compassion, someone who is truly interested in what you—the client—gets out of the reading in terms of evidence, closure and healing. And I certainly recognized that in my own reading with her. In conclusion: This reading really got my blood pumping. As I mentioned, I was so enthusiastic about it when it was over that I ran downstairs to tell my wife all about it. To be completely honest, I rarely get excited about readings anymore. That would be like a bus driver getting excited about a bus ride. Been there, done that. But this reading felt like a ride at the amusement park—nonstop thrills, one after the other—because I get enthusiastic when I discover a fantastic psychic medium. Joanne Gerber raised the bar for me in a way that just made it harder for other psychic mediums to get on my list. 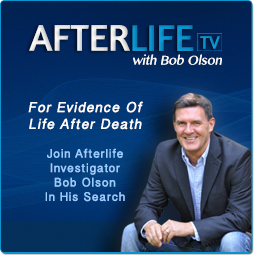 She filled my hour with evidence of an afterlife. Every psychic medium on my list has their niche that made them stand out among the hundreds I’ve tested. Joanne’s is nonstop messages from deceased loved ones, which include physical descriptions, personalities, past memories, current events, names, dates and ages… just like she promised. If you have some skepticism… maybe need some proof that your loved one still exists… and don’t want vague generalities or messages filled with unsubstantiated information… then call Joanne Gerber today for a reading. I can’t guarantee you’ll have the same successful reading that I had, but if you do, it will knock your socks off, and possibly change your life. Joanne gives readings to anyone around the world by telephone. Just give her a call at 781-883-5403 to book an appointment or visit her website at www.joannegerber.com. And be sure to tell her that you read about her in Bob Olson’s article.